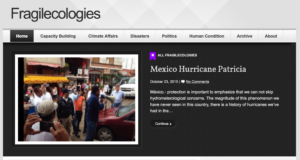 CCB-Boulder.org is a website to educate users on relevant information related to building resilience capacity in countries that are most at risk from flooding, famine, fire and drought. CCB's projects are updated regularly to ensure research is publicly available to those who might make the best use of published reports. 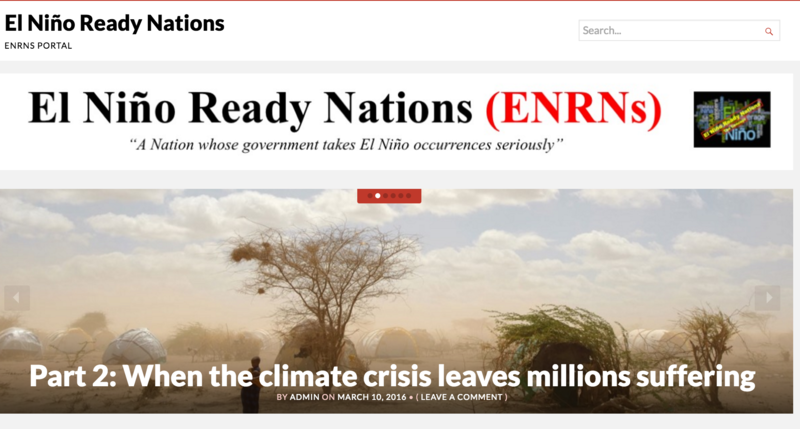 Elninoreadynations.com reports on the hazardous events that occur due the hazards-spawner known as "El Niño". 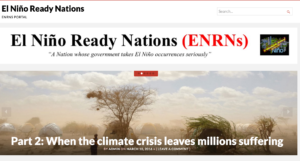 Articles from around the world provided by CCB's international network are uploaded to help users not only keep up to date on currents events related to El Niño, but also use as a resource to help better mitigate and navigate water, weather and climate hazards that are a result of ENSO's more extreme phase; El Niño. Many people are too busy or do not have the opportunity to take formal courses in a classroom setting, whether it is at the high school or university level. People are usually too busy trying to put food on the table or they do not have the funds to go to traditional places of learning. CCB wants to bring those places to them … for free where possible … to those who want to participate in a sparetime university. Radio, mobile phone and newspaper are media that can be used to get desired information to the people who toil all day attempting to make enough money to provide food and shelter for their families. 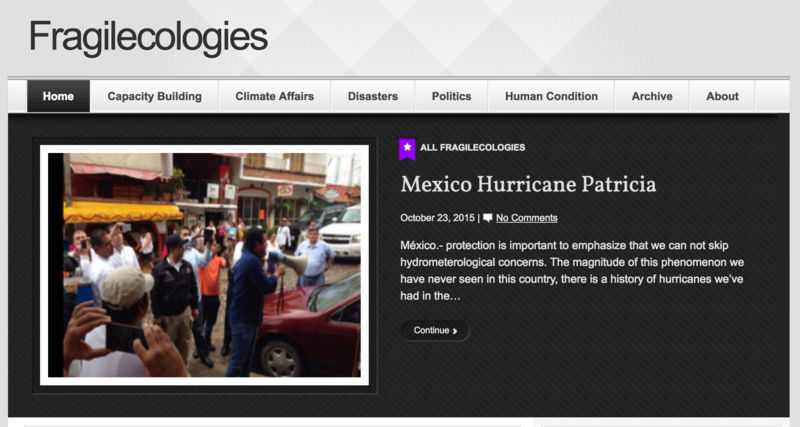 Michael (Mickey) Glantz created the Fragilecologies website as a service for those interested in climate-society-environment interactions.